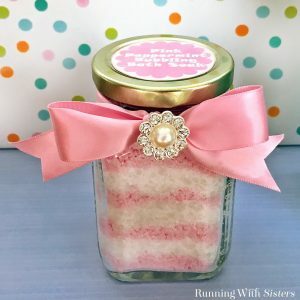 We think this is such a fun spa craft. 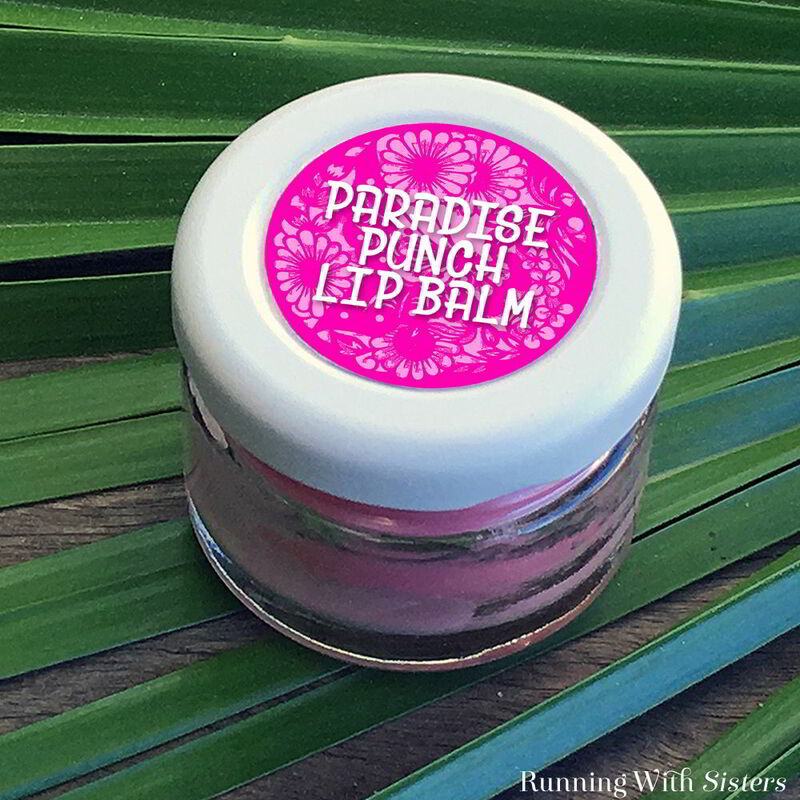 This cute lip balm is great for gifts and you can make it with girlfriends or kids! You can flavor your lip balm with powdered drink mix like we did, or leave it plain. We used a little jam jar we got at a hotel with room service, but you can use any small container. We’ve seen nice ones at the dollar store! Here’s a label you can download. Right click to download the label. We also made a video showing how we made the lip balm. Follow along while we make the lip balm, then use the instructions below to make your own! 1. 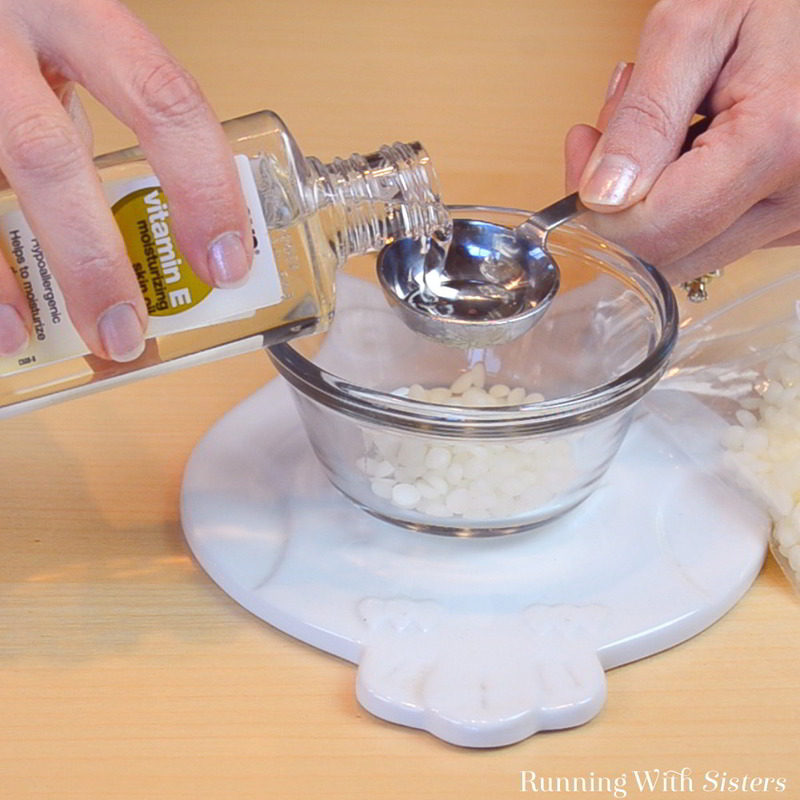 In a Pyrex custard cup, mix together 1 Tbsp beeswax pellets and 2 Tbsp vitamin E oil. 2. 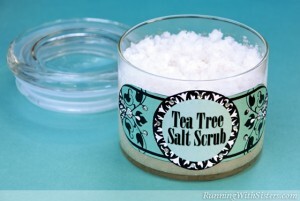 Dissolve 1/8 tsp powdered drink mix in 1/8 tsp water in the second cup. 2. Heat the beeswax in the microwave for one minute on high or until melted. 3. Add the dissolved drink mix to the melted wax. 4. Scrape a bit of lipstick off and mix it into the melted wax. Pour the mixture into the tiny jar. Let cool. 1. Spray paint jar lid white. 2. Print label and cut out. 3. Laminate by covering both sides with clear packing tape. Cut out. 4. Adhere to lid with double-stick tape. Isn’t this lip balm so fun and easy? And cute! 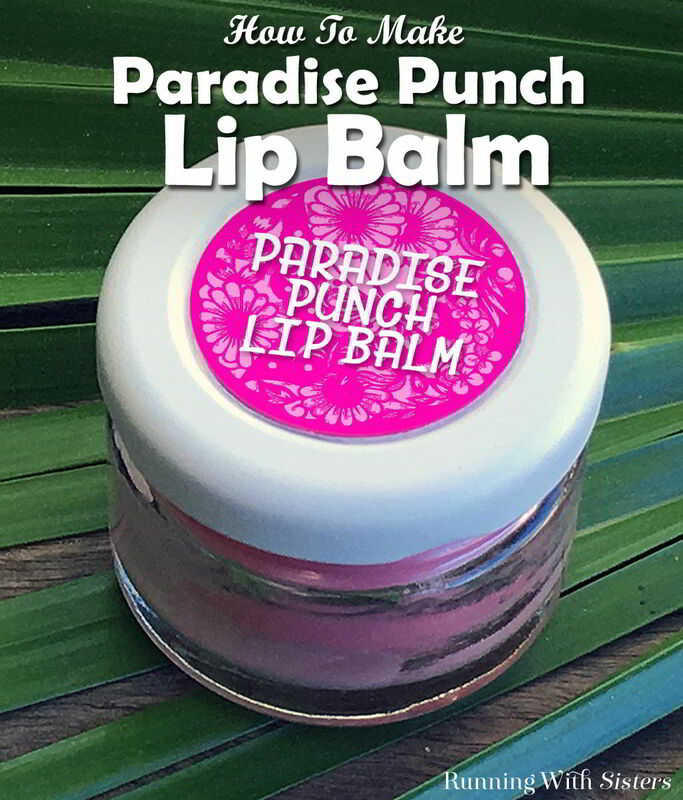 Remember if you have any questions while you’re making your Paradise Punch Lip Balm, you can post them in the comments. We’ll reply. We’re here to help! 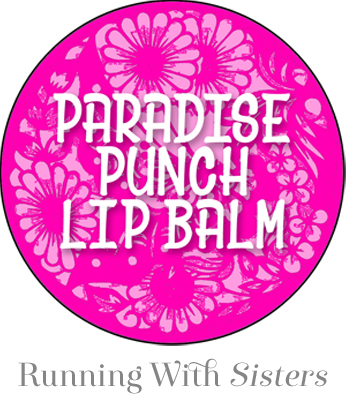 And if you come up with any lip balm names we’d love to hear them? What would you name one flavored with lemonade or watermelon? Tell us in the comments. Maybe we’ll make a label for you! 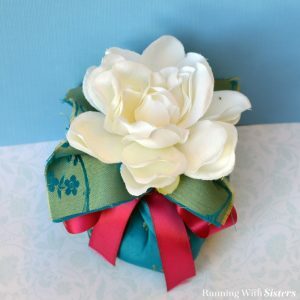 i want to save this craft in my Pinterest… I don’t see where I can do that? Sorry you are having trouble pining us. We love getting pinned! There should be a Pinterest button in the upper left corner as you hover over each photo. We have a large Pinterest style picture at the bottom of the post too. If that doesn’t work, you can copy the url and go to Pinterest and click on Upload A Pin. Let us know if you need more help!